My family loves going to Disneyland. Growing up in Southern California, I remember going for special occasions...it was such a treat! When I had my son, we bought season passes and we went all the time. We'd just pick up on a Sunday afternoon or in the middle of the week, and head to Disneyland. 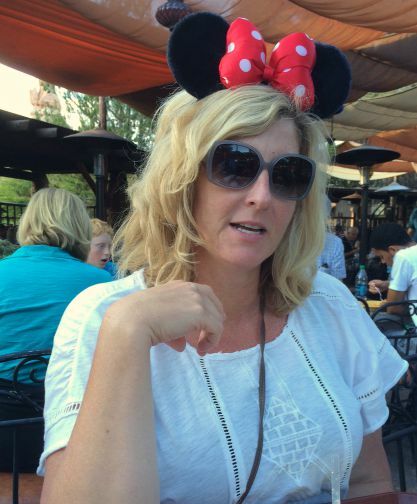 Now, I do not profess to be an expert at Disneyland. When we go I like to concentrate on having fun. 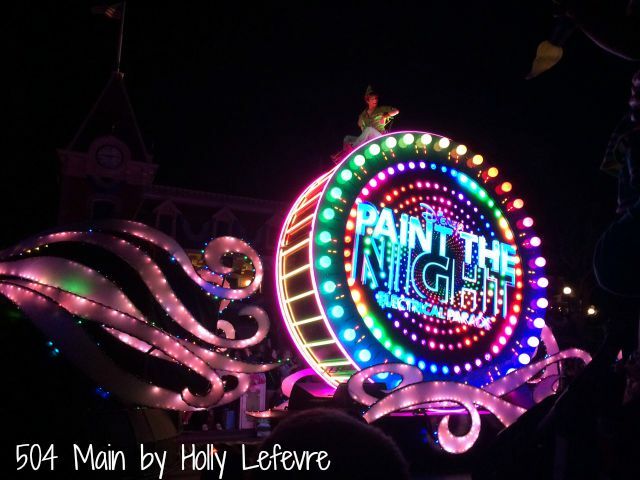 I do not over think the process, but I do have a few tips that have worked VERY well for us over the past years and many, many trips to the "Happiest Place on Earth." Why do I call this The Lazy Moms Guide? I have friends who plan their trips to Disney with excruciating care, down to the minute practically. They know the ins and outs, ups and downs, where they are eating, where they are snacking- everything!...and that works for them...but it does not work for me (because I am lazy - not really - but sometimes). 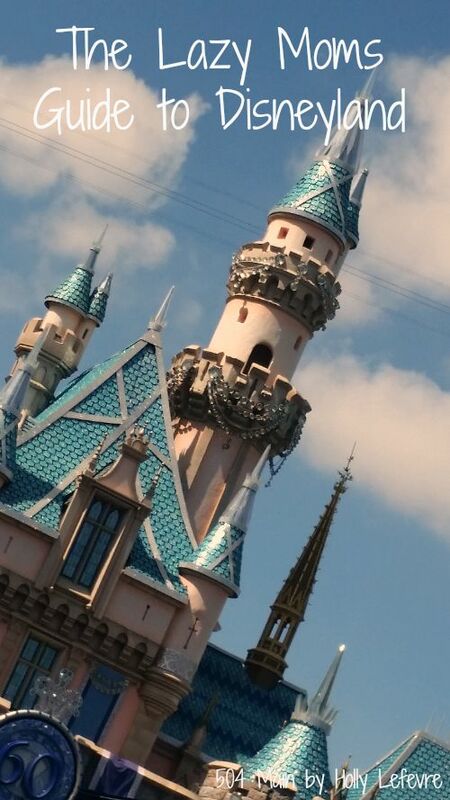 On our last visit to California, a few weeks ago, we spent one day at Disneyland. At first I was hesitant - it was the middle of July! Prime time, summer time! I feared it would be very crowded. There were definitely a lot of people at the park, but I was so impressed. I do appreciate that Disneyland has crowd control down to a science! It turned out to be a wonderfully pleasant day. And I was happy to be their for the 60th anniversary. Before I get to my tips, let me break this down a little further...We are a family of four with no littles in strollers. We have a big age gap in the kiddos (6 years), so we find ourselves going in different directions to accommodate different interests. We manage our trips and make our trips successful based on the following tips. Go early. Prepare to stay late. We like to get to the park when it opens. We are also prepared to stay late. Every time we go, we say we are getting there early, so we can leave early...and it never happens. If you leave early, you miss the parades or fireworks and other cool stuff! The parks open and close at different times during the year. Don't be surprised - check the park hours. We don't really need a map at this point of our visits (I think we have been over 40 times), but the Disneyland Wait Time app is the BEST! We use this to decide which rides we need to hit first and get ourselves going when we arrive at the park. 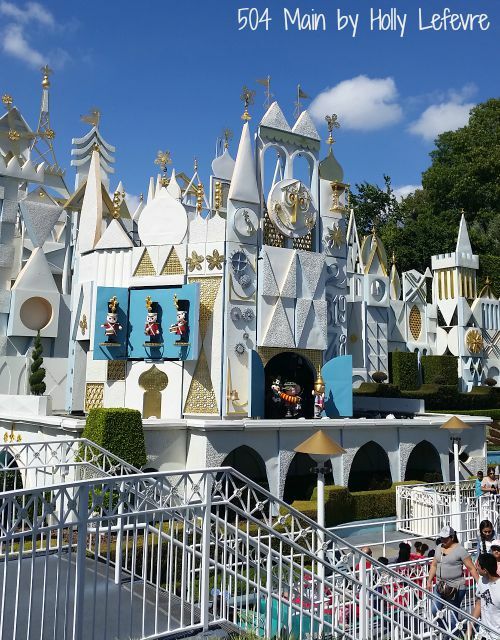 Before you head to the park, you can search online (head to the Disneyland website click on parks and tickets at the top and then select your park). You will get the run down on the attractions and it also tells you which rides have fast pass service and which rides are closed. If you really want to go on one of the super popular rides - get to the ride quick and grab a fast pass. It is worth it! Single Rider lines are awesome! When it first opened, we missed out on fast passes for The Radiator Springs Racer ride for three days! The best way for us to ride (and I will say, I LOVED this ride) was for us to split up and do the single rider line. It cut our wait time in half. We did it three times and each time ended up right before/after each other. Of course your kiddos have to be old enough for you to feel comfortable doing this. Eat at off times and try to eat together. Lunch at noon, or 1pm is crazy busy. Have a snack at 11 and eat at 2, after the crowds! We also try to eat our meals together, since we are split up most of the time. We also try to have one meal be a sit down meal. 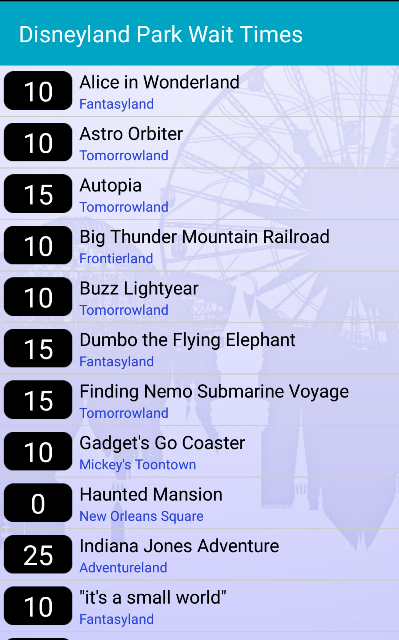 Pick your favorite rides or shows or attractions and make sure you get on them! We end up splitting up a lot due to our kids age differences. My son knows I go on Star Tours with him, My daughter knows dad goes on Dumbo with here...kind of like a tradition! 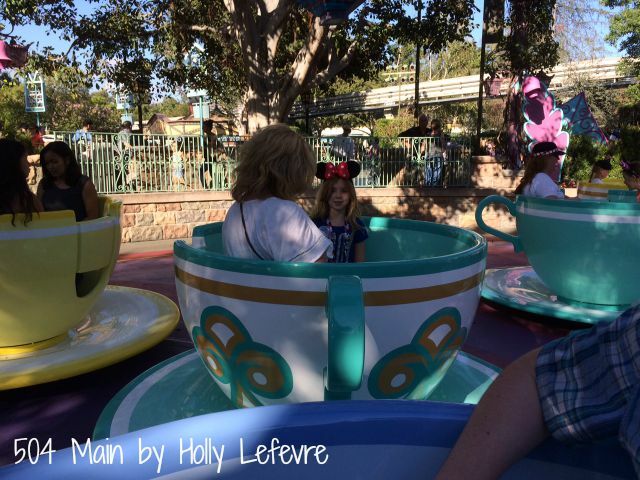 We also make a plan for the rides we all love and can go on, like Small World, Jungle Cruise, and Tea Cups. On this last trip, I went a little crazier than usual. My daughter became enthralled with the Disney pin trading, so off I headed to pick up a lanyard and pins (I forgot our other lanyards and pins at home). I also had to buy her a Minnie headband. However, we typically give each child $20-40 depending on the length of our stay. They can use this money at their discretion. For example, our family has stopped on Main Street for ice cream (mom and dad pay), but in a couple of hours they want a churro or a Dole Whip, that is on them to use their "Disney money." They can use this for any special purchases or souvenirs they want as well. I have taken my daughter to the Princess breakfast and the family has attended the character dinner. You need reservations and these are additional costs. Both of these were great for the up close and personal interactions with the characters. 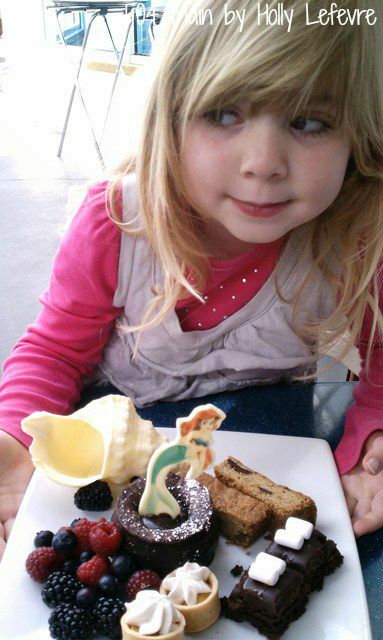 I want to go back to dine with the Princesses! These are my simple tips that have worked very well for my family for about 14 years now! 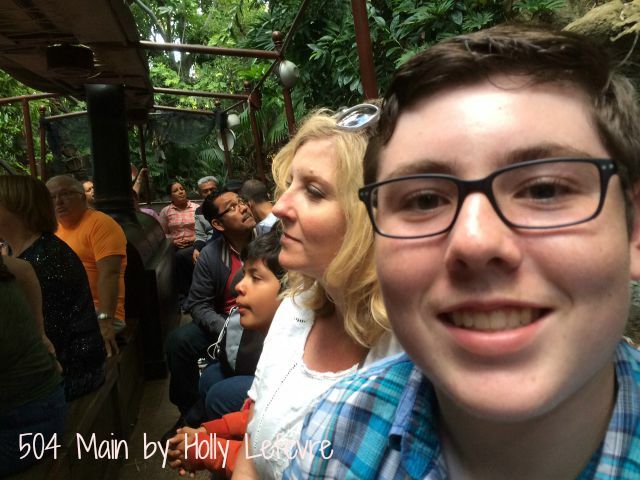 Most importantly, when we go to Disneyland, we all try to let go of the outside world (that's is what Disney is all about to me anyway) and experience the fun and magic of the park. The kids are already asking to go back for Thanksgiving. We celebrated Thanksgiving at Disneyland twice and love it. 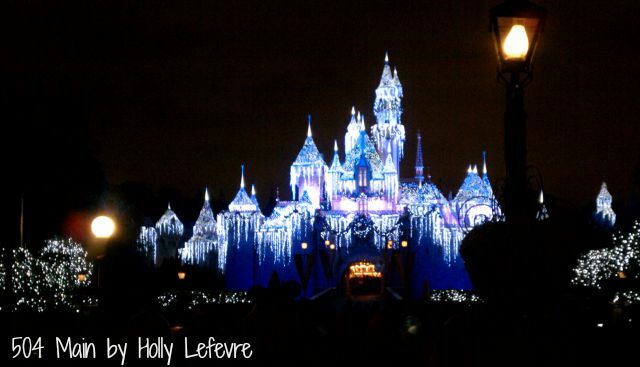 The park is decorated, snow falls, the lights twinkle and well, I really have no words - it is magical! (Besides, on this last trip, we did not even make it to California Adventure, I did not go on Small World - not sure how that is even allowed!, and every two years I get the silhouettes cut of the kids - and I forgot! Have you been to a Disney Park? Do you have any special tips? Holly, we are big Disney fans too! Living in the south, Disney World is our thing and we have watched things evolve as we visited over the decades. In those days, a certain number of tickets for individual rides were alotted with the entrance fee for the day. Once used up, more could be purchased at little booths here and there. There was no EPCOT or other parks.Things have certainly changed since 1971! Your expertise and experience with Disneyland are bound to be a great help to anyone seeking to get the most out of their day(s) in the park. Hopefully, a Radiator Springs attraction is in the near future for Disney World. I have watched lots of Youtube videos of it and it looks like tons of fun! 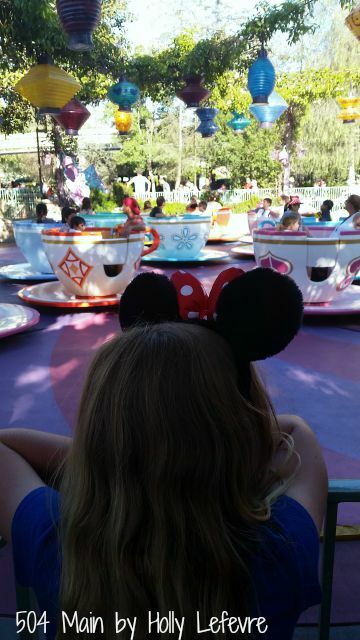 Your kids look like they are having a blast and enjoying every moment of their day at Disneyland. They are adorable!